I am hosting a little soiree for friends and family. I plan to bake a beautiful cake, but while looking through my cupboards, I noticed I don’t have anything pretty to display the cake on. Should I start shopping for a cake stand or can I make one? Great question! Hosting a soiree can be a daunting task because we want everything to be perfect for our guests. As any baker will tell you, the presentation of your cake is just as important as the recipe—so let’s make sure your cake looks fabulous! I love displaying the cakes I bake on a unique cake stand. Here is one of my all time favourite cake stand projects. Step 1: Spray two coats of paint on the terracotta pot and saucer in “Banner Red” using Krylon Dual Paint & Primer. Step 2: Apply silicone to the bottom of the terracotta pot and place it in the middle of the saucer. 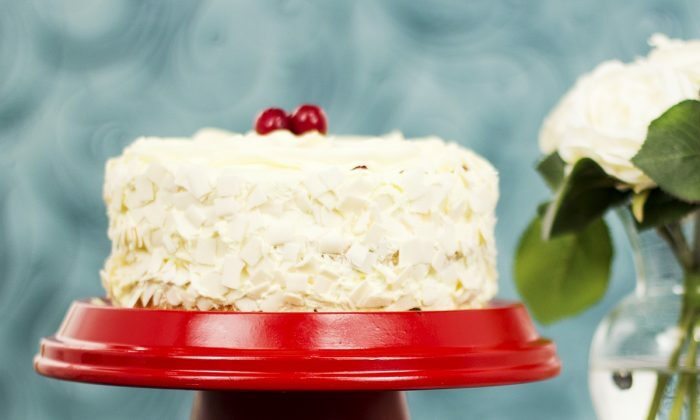 Step 3: Flip it over and voila, you have a beautiful cake stand for your cake! NB: Be sure to place a layer of parchment paper on the stand so the cake doesn’t come directly in contact with the painted cake stand. Marc Atiyolil is a celebrity designer, the Editor-in-Chief of Canadian Home Trends Magazine, a design expert on CTV, host of the TV series DIY Hotline and the host of the Marc Atiyolil Show on www.MarcAtiyolil.com. To subscribe to Home Trends Magazine visit www.CanadianHomeTrends.com. COPYRIGHT 2013 – Marc Atiyolil Media Inc.
"Changing up your scenery allows for mental and emotional self-care," says Sara Robinson. So often it seems we think we need more of something or other, but there is great wisdom in seeking less.